Nothing quite encapsulates the memories of childhood like enjoying ice cream with friends - and this Friday, 24 July, 2015, Uber is taking you back to your childhood with ice cream on demand. Scheduled to be run simultaneously in over 250 cities around the world, this will be Uber’s largest event of the year - and Uber Malaysia is excited to be participating for the first time in this event. While global in nature, UberIceCream in Malaysia will have a distinctly local flavour to it - flavours that Malaysians of all ages will recognise and love. In Kuala Lumpur, Uber has partnered up with Inside Scoop, producers of artisanal, handmade ice cream, to deliver 3 distinct flavours to riders in the Klang Valley: Chocolate Valrhona (decadent, rich chocolate - loved by young and old); Teh Tarik (Malaysia’s favourite drink made into an ice cream? Yes, please) and Mango Lassi (sweet and tangy all at once). 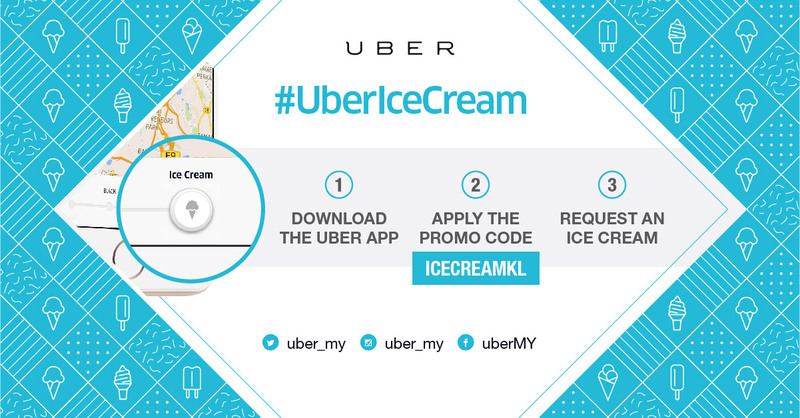 Users will have 2 options to choose from in the Uber app - ‘Ice Cream’, which is priced at RM20 per serving of 3 cups of ice cream, and the ‘Ice Cream+SWAG’ option, which will include ice cream and exclusive Uber merchandise, priced at RM25. Download the Uber app from the App Store or Play Store. If an UberIceCream vehicle is in the vicinity, you’ll receive your Ice Cream in minutes! 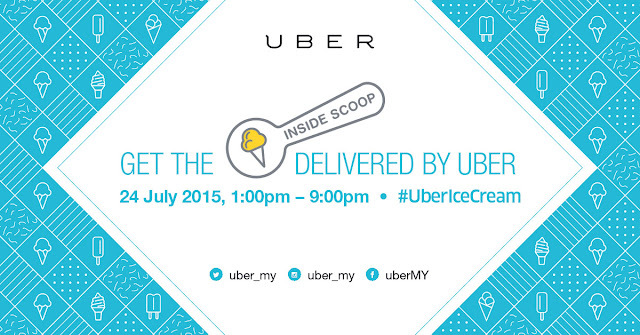 Our frosty ice cream mobiles will hit the roads of Kuala Lumpur from 1pm - 9pm. As always, no cash is needed. Your order is charged straight to your payment card on your Uber account. Demand is expected to be very high, so don’t give up if Uber Ice Cream is not available immediately. Keep trying! 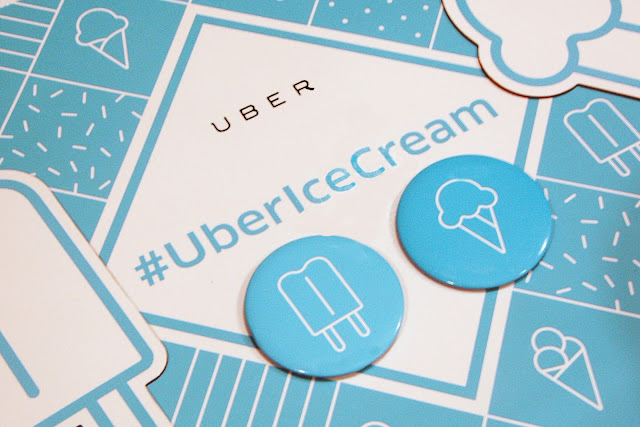 And lastly, be part of the worldwide #UberIceCream community - share your cooling experience and be sure to tag us on Twitter (@uber_kl) and Instagram (@uber_my) with #UberIceCream. If you’re new to Uber, sign up with the promo code ICECREAMKL, to enjoy a free ride, worth RM20! I really like this concept, Sean, and the signs are attractive! I do love ice cream but must admit I don't have it often due to the fat and calories.